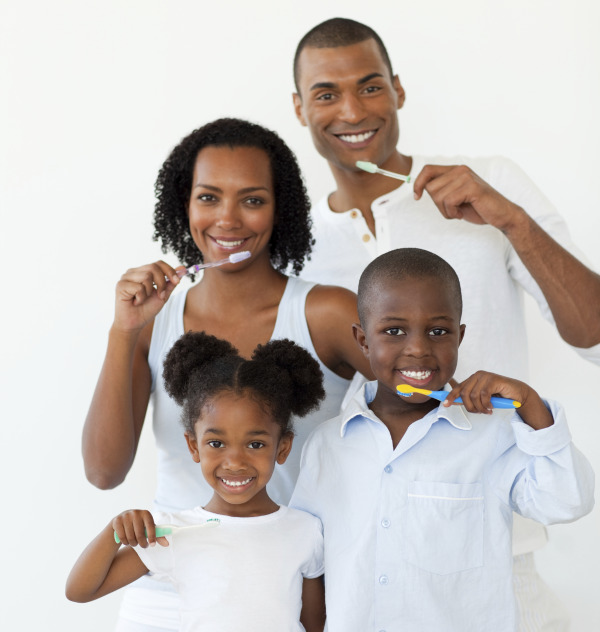 At the dental office of Dr. Gregory D. Wilcox, we understand that the dental needs of the whole family are important. Family dental services are essential to people of all ages as oral health needs change and evolve over time. Dr. Wilcox and staff are committed to give their patients a positive experience based on friendly, caring interactions and service they can trust. Parents are encouraged to bring their children into the office as early as age one. Preventive education starts with primary teeth to teach parents and children proper at home care. Convenience – When you take the whole family to the same dentist you can schedule same-time appointments and trust those who take care of your teeth. They know your health history, oral health concerns and have records to support emergency treatment. General Dentistry – Dr. Wilcox treats patients from age one and up. He is a general dentist who has studied and is well-practiced in treating teeth no matter what the age or stage of growth. If you need restorations such as fillings, crowns, bridges, dentures, or implant restorations, Dr. Wilcox and staff will optimize your oral health. Cosmetic Dentistry – Dental treatment no longer only treats the function of your teeth. Dental technological advancements treat aesthetics too. From composite fillings to porcelain veneers, Dr. Wilcox will leave you with a beautiful healthy smile. Ask about whitening treatments as part of your routine cleanings! Maintaining a good oral hygiene routine at home is the best way for patients of any age to minimize their dental needs. Preventive dental care plays a large part of every dental exam and cleaning. X-rays are taken to help spot imperfections as well as create a history of tooth development. A family dentist takes great care to understand the progression of each patient’s oral health throughout the years. Fluoride treatments and sealants are used on patients as part of the preventive practice. With routine visits, early detection becomes a regular practice. Children appreciate their cavities identified on the surface. In fact, all patients appreciate it when injections are not a part of the procedure. Adult patients with more wear and tear in their mouths would much rather catch a cracked tooth at the office and have it treated preventing a break later on. Early detection limits the intrusiveness of dental procedures that are more affordable solutions. Dental check-ups inspect the integrity of older restorations and gum tissue. Gum disease is irreversible once it moves beyond Gingivitis, so it is important to clean and treat the soft tissue as soon as signs of gum disease are present. If it moves to periodontitis or into the advanced periodontitis stages, Dr. Wilcox will work with the patient to develop the best method of treatment to stop the progression and maintain good hygiene to prevent the spreading of the disease. Our family dental office offers a comfortable and friendly environment giving. We invite new patients to fill out the questionnaire online. Please contact us to schedule your next appointment!